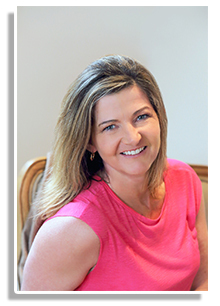 July 21, 2017 robynHow to, Howards Storage World., Space Saving Solutions. Small spaces can be a great advantage within our daily life. However, working with small spaces can present with a number of obstacles. 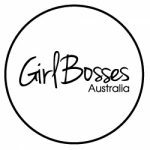 Just think – if you live with less, you have less to maintain and more time to focus on doing what you love in life, rather than being a slave to your spaces and to your stuff. If only I had a dollar for every new client whose greatest organising struggle was ‘not enough storage’! It’s not so much about how much storage we have, as believe me there is such a thing as TOO MUCH storage; it’s more so about how we utilise the natural storage within our homes. Every clients home I go into presents itself with natural storage spaces filled to the brim, with no-longer-needed or out-of-date items. 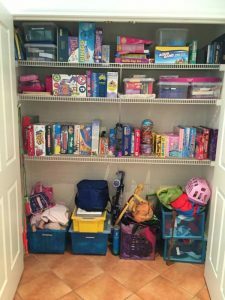 Once we clear out the clutter, we naturally create the spaces we do need for those items that have a real purpose in our current life and which deserve the right to a designated home. 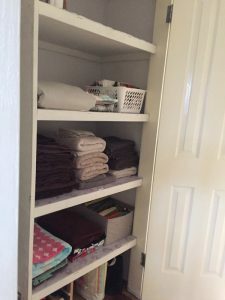 If, after decluttering, you’re still finding that you don’t have enough storage, my top tips explaining how to make the most of small spaces will help you best utilise the storage of each of your spaces and storage zones. And most importantly, without taking up valuable floor space within your home. Air space is ultimately wasted space. Adjust your shelving and railing heights to suit the height of the content. It’s as simple as taking your existing shelving to Bunnings and having an extra 1 or 2 cut to size. While you’re at it check which other storage spaces within your home could do with another shelf. 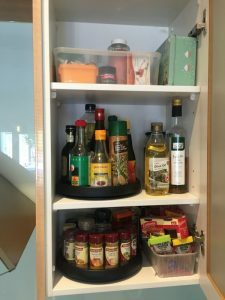 Pull-out baskets are a great way to utilise the depth of the shelf and allow you to group like-with-like items together. Baskets or pull-outs also allow you to bring the rear content to the front of the space. No more unforgotten items out of sight. Lazy Susans are also a great way to bring the contents from the back of the cupboard in one simple spin. Perfect in the kitchen for herbs & spices or oils. They also work just as well in the bathroom or laundry. Three tier step ups allow you to easily see and reach food items – perfect for those tins and jar items in the pantry. In the linen cupboard or bathroom, fold towels and linen so they fit to the depth of the space. You’ll be able to identify everything from the front rather than needing to pull items out to reach those at the back of the cupboard. You can therefore potentially fit more stacks along the width of the shelf. This also saves you time, no more double handling, and will ensure you maintain your space for longer. Keeping like items together in the spaces in which you utilise them allows for greater functionality and flow within your home and ensure you always know where it lives, just because it makes sense. 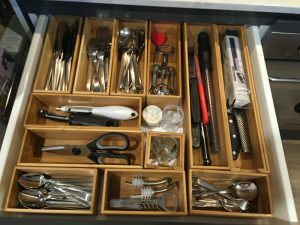 Drawer separators allow you to group like with like items together for easy storage. 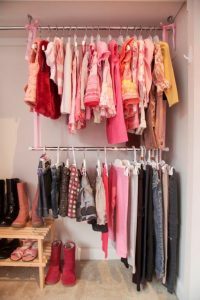 Items in wardrobes or toy rooms are not easy to maintain if they are stacked too high, again here, add extra shelving to break these piles into shorter stacks. Also filing items, such as board games or shoe boxes, side by side allows for ease of access without disturbing others. Use vertical storage rather than stacking, file items vertically side-by-side. These Bamboo Plate Stands are a great way to store food platters chopping boards or baking trays. Utilising the space behind your door if often the least thought of space, yet is valuable real estate. Perfect for towel storage in the bathroom or shoe, scarf or jewellery storage in the bedroom. 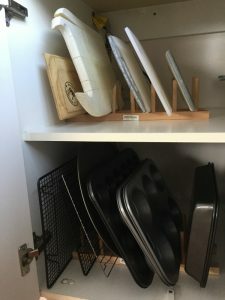 If you hate having your planners/calendars or kids notices on the fridge utilise the inside of your pantry or kitchen cupboard doors to hang these items or use a series of plastic pockets to hold various notices. At the end of the day, we live in the spaces we live in. So ultimately, we need to tame our content to ensure we fit within the limits our spaces / environment presents to us. 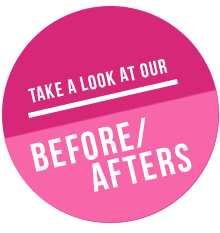 Whether that be to fit our ‘stuff’ better into our current home or to prepare to downsize and live in a smaller home. Not only that, we need to keep these limitations in mind when deciding on new purchases and the items we bring into our home. Unsubscribe from anything you already have unless it needs updating. If you make new purchases be sure to swap these out with the old. The ‘one in one out’ rule is one to follow no matter whether your working within small or large homes. I’m sure you’ll agree Small Space Living has many advantages to our overall lifestyle. You’ll spend less time being consumed by the contents of your home and spend more time getting out and about. I’d love to hear your top tips on how you best utilise your small spaces. Looking for hints, tips and inspiration on how to organise and maintain your spaces?